It is not easy to produce consistently excellent products in a single product area. 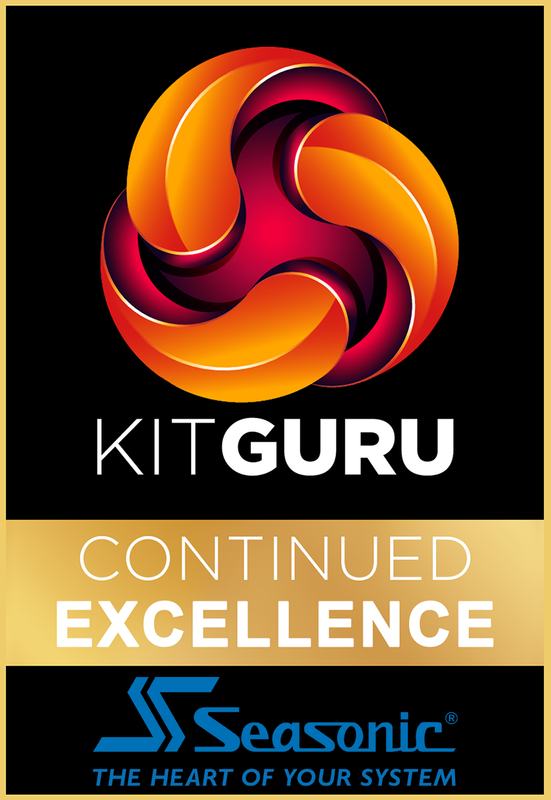 That is why we are proud to announce that KitGuru has given Seasonic the Continued Excellence award, for winning over 30 top awards in a single category. An award like this doesn’t come around often – in fact, only two have been give out to date, including this one – so KitGuru reviewers Dominic Moass and Briony Hannam met with Seasonic representatives Ray Milton and Nills Stallmach in London, to give the award in person. 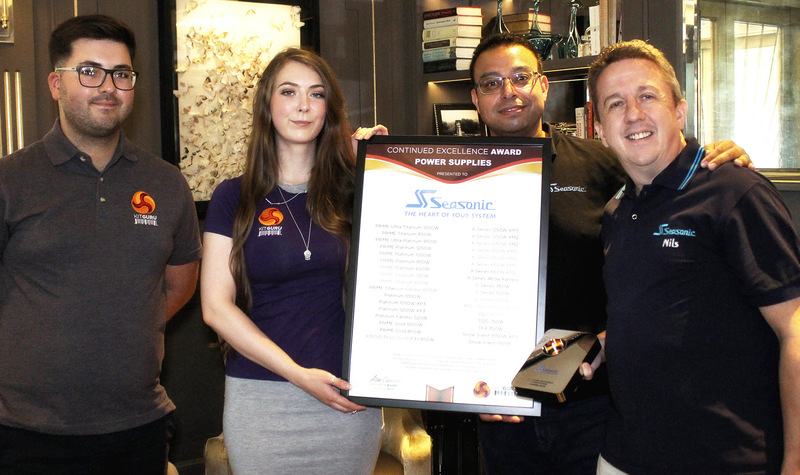 A physical award was presented, as well as a framed list of all the Seasonic power supplies that have won KitGuru’s top award. As mentioned, that is over thirty products to have walked away with our highest honour. The Continued Excellence award is given in recognition of a manufacturer’s on-going commitment to the highest levels of innovation & production quality. 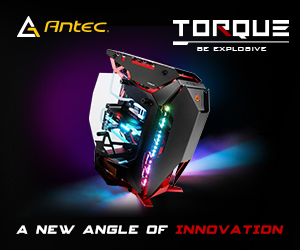 Embodied in the performance of their products during exhaustive testing by KitGuru labs. 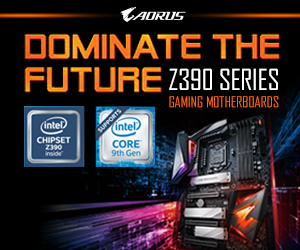 In essence, we are proud to work with Seasonic and recognise their products have been consistent excellent. This award is given in recognition of that. KitGuru says: Seasonic is a worthy winner of the Continued Excellence award for its power supplies.